Maria Aparis, inspirational and motivational leader and speaker, suffered the most extreme symptoms of Hashimoto’s disease for years that no one could help her with. She saw every kind of practitioner imaginable. Finally, she started listening to her gut and began trusting her innate wisdom. She figured out how to heal herself apart from what everyone else was telling her to do and went natural. She shares that journey with us and what led her to write her new bestselling book, The Essential Gut Awakening. My guest is Maria Aparis. She’s an accomplished author, an inspirational and motivational leader and speaker. 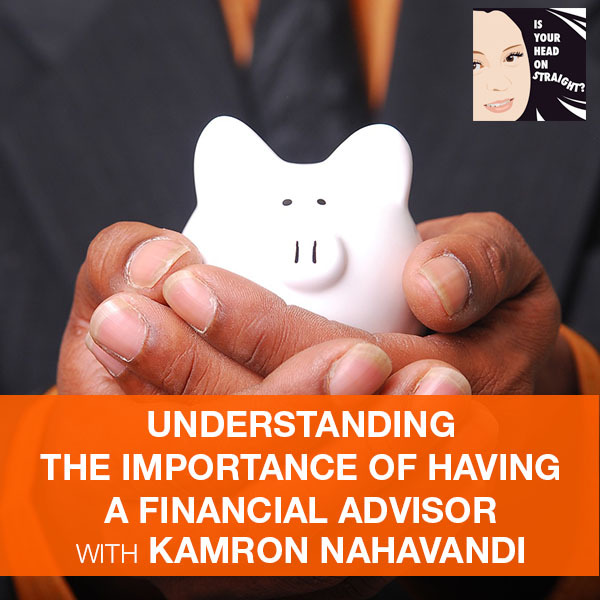 She helps her clients achieve their greatest potential in life by challenging the paradigms that hold them back. She realigns them with their mind, their body and their spirit by using alternative and holistic natural practices. I’m so excited for you to hear what Maria has to say about her book. Welcome, Maria. I’m so excited you’re on the podcast. I can’t wait to hear about everything you’re going to talk about. You wrote a book called The Essential Gut Awakening: Mastering Hashimoto’s and Other Autoimmune Diseases. Clearly, you came to this point in your life because you have a phenomenal story to tell. Can you give me some background about what led you to this incredible book? Thank you so much for inviting me to be on your podcast. I came to write this book because I had been searching for natural solutions to help me find my wellness again. Going through the most extreme symptoms with Hashimoto’s, I ran into every single doctor, specialists, anyone that I went to go see and I felt like they were guessing on how to treat my symptoms and get to the root cause of it. It wasn’t until I had to stop doing what everyone else was telling me to do, go based on my intuition and what felt right for my body. Go into completely natural solutions that I was able to find my balance and harmony in my mind, body and spirit. I totally resonate with that because I obviously come from a holistic health background, being a Blair Upper Cervical Chiropractor. You mentioned a word that I want to go in onto, which was intuition. How many years did you search, test and go from doctor to doctor before you understood that intuition was what you needed to follow? I want to say at least five years if going from doctor to doctor, specialist to specialist. I’m taking 80 different supplements of what people were giving me and none of them were working. In fact, I kept getting worse. This wasn’t a medical doctor. This was the natural health practitioners, like a naturopath, chiropractor or a nutritional therapist. One naturopath had me taking 80 different pills, creams, tinctures, capsules, you name it. I was taking it. I was spending thousands upon thousands of dollars trying to get my life back and it wasn’t helping. It was literally making me worse. What was it that finally made you realize? I would think that if you’ve done the medical route, clearly we know that most of the time that is not the answer. You can’t throw a chemical and expect health to come. There’s always a consequence or an effect, not even a side effect. It’s an effect from a chemical in your body but then you went into the natural realm and everybody would think the tinctures, the different supplements, and all the different things. What was it that finally made you realize like, “This isn’t working and this is the direction I’m going?” What led you out of all of that stuff? What it comes down to is absorption in your body. When you are experiencing leaky gut syndrome, which is what I was at the height of autoimmune, you have a challenge absorbing nutrients into your body. As much as maybe these things were great, they were not great for me because the key is absorption. I was having the most expensive urine ever. That’s what they say about most Americans. We blindly take all of these really expensive vitamins and wait for something to show up. The truth of the matter is, when you get to the heart of it, you have to be able to absorb what you’re taking. The reason I called it the essential gut awakening is because I used essential oils to begin with. The essential oils are what got into my bloodstream, started activating and getting absorbed into my body. That’s what led me down this path of natural plant allies. Essential oils were key and then I started using hemp oil, the phytocannabinoid diols. The hemp oil is actually what threw me into that feeling of getting my life back. I don’t say CBD because the pharmaceutical company has done a global patent on the letters CBD. That’s why you won’t see CBD on supplements. CBD is now coined for pharmaceutical. We have to say hemp oil but that’s what it is. It is phytocannabinoid diols and those are the key to get into our endocannabinoid system and which has been seriously depleted. I myself felt a world of difference within days of taking this hemp oil. Is there an aspect of THC in that either or is it straight a CBD component, not the THC? In my particular case, I did not want the psychoactive effect of THC. I researched oil and I found one to be absolutely spectacular. It’s a nano-enhanced liposome delivery. Hemp is a pretty large molecule, taken in any other form is going to have that absorption problem again. When it’s nano-enhanced, it’s basically broken down as a water-soluble type of thing. Nano-enhanced with a liposome delivery means that it’s broken down so small that the uptake of bioavailability is nearly 100%. It’s different for everybody but if you hold it long enough it gets absorbed right into your bloodstream. You’ve healed your gut through changing your diet and through taking proper supplements that actually were doing a good job. How long did it take you to get to the point where you were going to do this hemp oil and you were able to heal your leaky gut and then you realize that is the foundation? A little bit underneath that is I tell my patients you can’t absorb nutrients unless you have a healthy nervous system. My whole job is to make sure the structure is in alignment so that your nervous system can function. You could eat the best food on the planet but if you can’t assimilate, it doesn’t make any sense. For me in my world, it’s the nerves telling the gut what to do. We are coming at this problem with a path that is together. I love that you brought that up. What I discovered that in our gut we have the enteric nervous system, which has more neurons than the central nervous system. When you focus in on the gut and that enteric nervous system, 80% of the communication is going from our gut through the vagus nerve up into the brain. When you look at who the bigger communicator is, it’s not the brain, it’s the gut. When I started focusing in on my gut and getting those nutrients into my body that were actually absorbed, then I was able to get rid of my brain fog. I was able to have clarity, focus and concentrate. My energy came back to me. Many things from focusing strictly on my gut. That meant I put essential oils in my gut. I put hemp oil on my belly as well as taking it sublingually. I looked at the things that I was eating such as nightshades. Nightshades, I had to say absolutely goodbye to. Nightshades have their own pesticide so to speak. It’s their own defense system and tomatoes, potatoes, eggplants, goji berries, bell peppers for sure. They get into your gut and if you already have a compromised immune system, it actually starts to get into the stomach lining and expose it even more so. It eats away at our cilia. Once you heal your gut with the process that you’ve written about in your book, is it possible to reintroduce nightshades but not on an everyday basis? Is that something that’s possible? Gut Health: It’s interesting that the ancient practices that everybody thinks is Voodoo are actually scientifically proven to awake our body so that it can be whole and connected. I’ve had a few and I can say for certain it definitely affects me. I have a tendency to stay away from them and dairy, including eggs. Eggs also have that mucus and the mucus can actually be a carrier for toxins to enter our bloodstream through the gut. That was a major source of protein for me for a long time. I felt better when I stopped eating them. Did you ever take any allergy testing through any of the doctors that you had seen? Medical doctors will do a skin allergy test and then a naturopath or a PhD, nutritionists that do acupuncture, they’ll do a gut test or a blood test. Did you do any of those? I’ve had my hair, stool, blood and saliva. I’ve had every single test that you can think of. That’s another reason why we kept going broke because I was spending so much on these tests. Every time we would try something new, we’d have to retest to see if it did anything differently. It’s East meets West meets spirituality in terms of body, mind, and spirit. We have to have that science of Newtonian Western doctor. We need to have that science. I have the philosophy that we are a spirit that lives in a body that has a soul. Our spirit is eternal and we live in this body, this temple that I like to call it and we have to express ourselves through this body, through our soul. That’s our logic, our emotions and the way that we filter it through our limbic system. If our body is not good, we can’t express our spirit through our soul in a healthy, meaningful way. That makes such perfect sense when it comes to the pineal gland. When we have this leaky gut syndrome, we have these toxins in our body. It’s toxifying our pineal gland too. Our pineal gland is our direct connection to our third eye, our intuition. That’s what comes back in full circle to your original question, what is our intuition have to do with this? When our intuition, our pineal gland is calcified, then we don’t have that awakening of our third eye to use as our guidance system, our compass so to speak. The more I was able to detoxify my body in a safe way and get the phytocannabinoid diols into my body helped me decalcified my pineal gland. That helped me even deepened my intuition of what felt right and what felt like it was not in alignment with my mind, body and spirit. Can I clarify that you said it was possible to decalcify your pineal gland? Isn’t that interesting? I’ve talked to so many people that have been told by Western medicine that once you have this disease, it can’t be reversed and then you have to take all these drugs to counteract the symptoms. That’s where I want people to understand. There is a whole another world out there and this exactly why I want you on my show. People can listen, hear and understand that our bodies have the ability to heal themselves when given the right opportunity, environment and nutrients. There are quite a few things that you can take internally to help with your pineal gland to decalcify it. One thing is to cut out fluoride in the water, also your toothpaste and mouthwash. The aluminum, if you’re using any deodorants, they also calcify the pineal gland. To decalcify the pineal gland, you can take what’s called fermented skate liver oil. You can also use Haritaki. It’s an ancient Indian practice. It comes in a capsule form or powder form. I use the powder form. I take about a quarter of a teaspoon every morning and every night. You can even take a scoop of it and get it into your gum lines and teeth. It helps with cavities or tooth decay. When you think of how strong that is on your teeth, it’s getting absorbed into your teeth, your gums, your bloodstream. It’s helping to decalcify the pineal gland by getting in there. The pineal gland does not have a blood-brain barrier. It is not protected in terms of what hits it. When you get this into your bloodstream, it goes right into that pineal gland and helps to decalcify it. This is crucial in what you can do in terms of mantra. Mantra in terms of that breathing in, that Prana and then humming those mantric words help to stimulate the pineal gland with the vibration. As we continue to do that, we expand our auric field. We decalcify the pineal gland. We become more in alignment with body, mind and spirit. 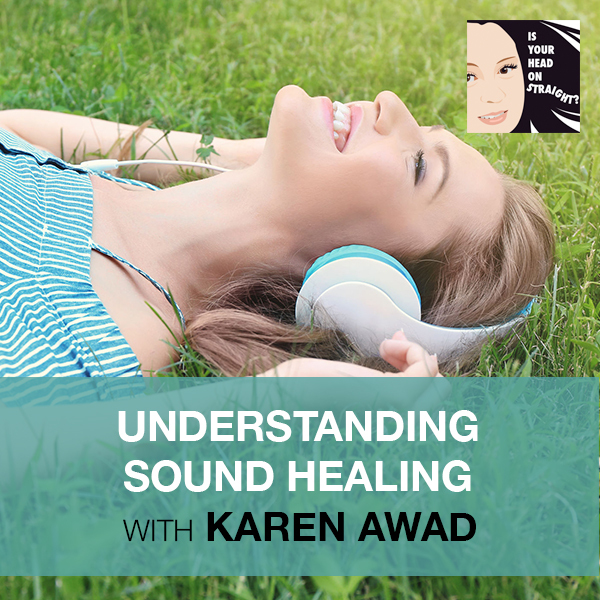 I did another podcast with Karen Awad on Sound Healing. I understand so much more what vibration and sound do. I was in a workshop where I was learning about the ventral vagus and how to stimulate it. When you make the raspberry sound, when you pop your lips or when you chew on something crunchy, that sound is stimulating to your vagus nerve. It’s interesting that these ancient practices that everybody thinks are voodoo is actually scientifically proven to awake our body so that it can be whole and connected. I’m also a Kundalini yoga teacher. I incorporated all of that and Reiki into my healing. Mentoring other people with their autoimmune is something I’m so passionate about because Haritaki is around $8. I was going to ask where you can get this stuff. I need it. I don’t know if my pineal gland is calcified. It probably has a bit but I need to use it on my gums. I find mine through Banyan Botanicals, which you can google and find. Fermented skate liver oil is super inexpensive also and you can get that through Blue Ice if you google that. The hemp oil that I use, I absolutely love. It’s really phenomenal that the plant-based allies and ancient wisdom that is already there for us. If we can be open to not taking the doctor’s prognosis or diagnosis as the end all. There are options if you’re open to it. I understand that pharmaceuticals can be very helpful for people. I’m not poo-pooing that by any means but I am saying, let’s marry the three principles of Western medicine, Eastern philosophy and also the Quantum Physics of mindset and energy. That’s what chiropractic is all about. Chiropractic is science, art and philosophy and that’s exactly what you described with these three different legs. Talk to me about when a person gets a diagnosis. In general, the society that I grew up in and the people that raised me were very much like what the doctor says goes. You don’t question them. They’re the ones that went to school and have this education. How do you have confidence knowing that you can trust that intuition? You can seek out people who have done the things that you want to do and leave that almost like they’re not speaking for you. “You have diabetes, that’s how it’s going to be the rest of your life.” That is not necessarily true. The thing is that it’s good to have a diagnosis. I will say definitely always check in with your doctor, get your science and all of that stuff. In terms of leaving it up to that, one thing I think that people don’t understand is that doctors spent an average of 25 hours in nutrition. That’s it in their four years of schooling and continuing education, 25 hours is the required. 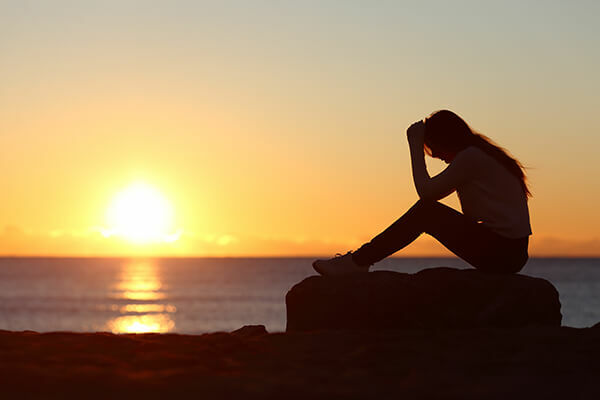 Gut Health: Mental, physical, and emotional trauma play a huge role in your gut health and your vagus nerve and the tone that is expressed through that. You’re talking about medical doctors. Yes, I’m talking about medical doctors and they learn about their prescriptions. If you can imagine how many prescription medications are out there? Where are they getting this information? How do they know which one to prescribe? They’re getting their information from a pharmaceutical rep. The pharmaceutical rep is sent by the pharmaceutical company. Who has the best interest in mind for you? Is it the doctor? He may but he’s getting his education from the pharmaceutical rep. The pharmaceutical rep, since they work directly from the pharmaceutical company, their best interest is to sell their product. If you focus on that, there’s a world opening up this Pandora’s box on who wants to get people well and who wants to get people to stay sick, to be a perpetual customer of pharmaceutical. To be outspoken about this is leading to people fighting that and people getting in trouble for this and offering natural solutions. Let’s look at aspirin. Aspirin is wintergreen. Anyone can grow it in their backyard but when you look at pharmaceutical, they’ll take that wintergreen. They’ll synthesize it, which means they’re going to add synthetics so that they can patent that and then call it aspirin in whatever form that is. The fundamental source of that aspirin is wintergreen and that is a wintergreen essential oil that you could put on your temples, the back of your neck. You could put it on the top of your head to help with a headache. It’s so simple and we have to go back to those days before those big companies took over. There’s not this idea that we’re sitting bashing medical science. God knows there have been incredible things that have happened through the advancement of that. People’s lives are being transformed because of heart transplants, limbs being reattached because of a tragic, freak accident. That is not the issue. The everyday folks that end up with a headache aren’t having as much energy or their hair starts to fall out. That isn’t a medical emergency and as much as it needs to be investigated from a holistic place like what’s the root cause? There are simple things that we were given from the foundations of the Earth like wintergreen. All the other things that you’re talking about that actually serve a purpose and were created to help these things but don’t have to be synthesized in a lab and then patented. I love doctors and I love the way that they have taken medical science to higher levels. That’s amazing in terms of when I knew something was off in my body, the first person I went to with my general practitioner. With the most condescending tone a person can give you, I said, “Something’s off in my body. I don’t feel right. I’m very fatigued and I’m not thinking clearly. I’ve put on an additional five pounds in what seemed like a week and that was not normal for me.” He said to me in the most patronizing tone you can absolutely use. He said, “Maria, you’re getting older. You need to exercise more.” I was blown away because it turned out that my anemia was so bad at that point it was down to three. That is beyond hospitalization. That is blood transfusion and he let me walk right out of his office. This is the deal, it’s about ego. I’ve encountered the same thing whenever I’ve had to take my daughters. My one daughter was suffering from endometriosis but at thirteen and fourteen we didn’t even think of that. We were at the hospital and I took her in and I said, “I did these tests and I figured out this.” I didn’t even get to the point where I got to explain that she had already had her appendix out. If I had known better back then I wouldn’t have even had that happen. He said, “Lauren’s mom’s a chiropractor, she’s using really big words right now.” I literally was so appalled and offended. I was silent from the shock of him being so condescending and it doesn’t have to be that way. We can all learn to get along. We don’t have to insult each other. I’m not trying to step on you. I brought my daughter to you because I feel like you have a service that you could help figure this situation out. I’m not trying to tell you I know everything. I’m letting you know these are the things that I’ve already figured out that aren’t the issue so that you don’t have to waste your time. The position that you’re in, having written this book and having found a solution, obviously there’s no cookie cutter answer. We are all individuals and we all have experienced life in a different way. I know for a fact that mental, physical, emotional trauma plays a huge role in your gut health and your vagus nerve and the tone that is expressed through that. There is a spiritual component to healing that as well as a nutritional and physical. There are so many different things that can factor in but tell me more about your book and the little tips that you have. Why do people need to check it out? I want to highlight that because this is outstanding information. My book is also focusing on the empowerment that I found. When you talk about the emotional aspect, I can pinpoint back to the exact date of when I took something on emotionally and it got lodged energetically in my throat. It was my communication. Somebody said something to me and I took that on as my truth even though it was not my truth. I had never had an experience like that before. I grew up with a beautiful, loving family. When somebody said something to me in their truth, which was actually their truth, not mine. I didn’t have experience with that, I could not filter that. It could not resonate with me, it stuck in my emotional being and it manifested into this illness, into my throat Chakra which is my communication. I could not communicate with others and I could not communicate to myself anymore because of that person’s perception of truth. When I was able to go back and say, “When did I lose my voice? 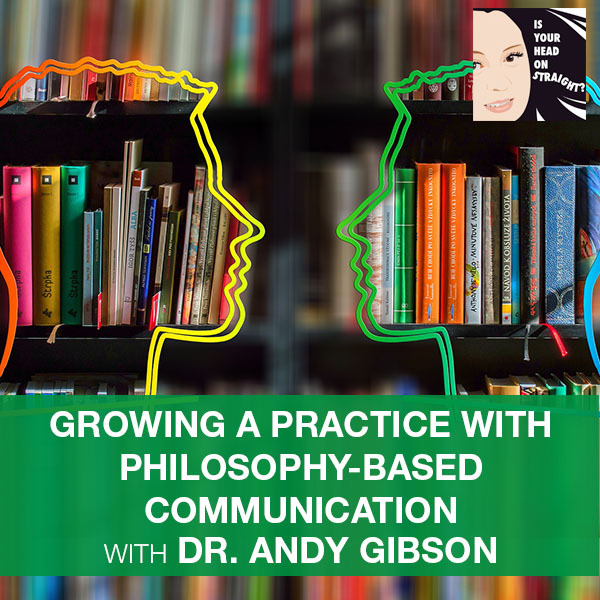 When did I lose my way of being able to communicate my truth?” When I found that moment in time, I was floored on how easily it was for me to take that on. I was amazed at how easily it was for me to let it go. What had developed with the course of me using these essential oils and getting them into my body, a tumor the size of a golf ball formed into my throat. The doctor had said of course we’re responsible. We go get the biopsy, we go look at the ultrasound and he said, “It’s attached to your esophagus and vocal cords.” That’s when I knew. It was like this great epiphany of what is my voice trying to let go of. The more I use the essential oils, the more I use the hemp oil, it went away, the more I was able to speak my truth. I almost had to go to the other side in terms of speaking my truth so much that I didn’t have a filter because I had to get it back. I had to find that harmony, that balance. I went from not saying anything at all to spewing everything that I felt was needed to be said. Basically taking that back into my balanced alignment and finding my harmony again. I advise my clients, “Go into your car and scream if you need to.” If that’s something that helps you get your voice back, we’ll find the balance again. If you are holding something in whatever emotional trauma or energy that is, if you are holding that in your body, it will find a way to fester and make disease. I couldn’t wait to jump in because you’re talking my language. Chiropractic is based on the way that bones subluxate or goes out of alignment. It’s because of three things: thoughts, traumas and toxins. Thoughts are often overlooked but it’s something that BJ Palmer spent years of his life researching. He had an entire sanitarium in Davenport, Iowa called Clear View Sanitarium where he took care of the sickest, most mentally ill people. It was a thought trauma thing. You are speaking my language. It’s so cool how intertwined this with chiropractic is. I love it because I told you that I already have four people I need to have, come see you or talk to you because it’s not my wheelhouse. My wheelhouse is structural and neurological integrity. 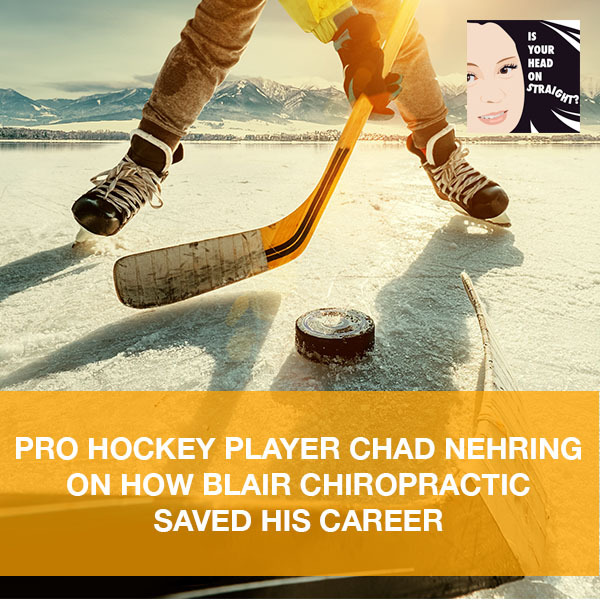 I love the Blair Chiropractic work and I love that I have people that I can refer to help get their Hashimoto’s in order. If you can pick your days and retrain, get those flashcards out. I made little flashcards and I would draw a heart on one side and then on the other side it would be like, “My life is amazing in every single way.” Every single day I would flash these cards, I would make these affirmations and say them. I would hold the tumor in my throat every day in the shower and I would thank it for showing up and I would say, “I don’t know why you’re here but I’m glad you’re here. I thank you so much for teaching me the most amazing lessons that I don’t know what they are yet but I know they’re here.” I hold it. Gut Health: Most of the time, things that are disruptive always comes from suffering. I had a patient encounter where we had this exact conversation. She said, “Instead of being angry at my SI joint and the nerve that runs down my leg, I am grateful that it’s giving me information or allowing me to feel something so that I can come have a conversation with you and you can help me with that.” I was like, “I’m going to carry that with me.” It’s not that I haven’t heard that before but it was the way that she said it. It was so empowering for her to know that her body’s telling her something which led her to come and seek help from me. I had that answer that day that can help that particular issue. It’s not like you need to go see every different practitioner for everything that ails you. Have gratitude for what shows up because it’s giving you information and it’s allowing you to investigate your circumstances. We live in such a chaotic world that we have how much information being poured at us all the time and we cannot even begin to comprehend all of that’s being thrown at us. We can only process a certain amount of information. To be able to become more embodied, to become more present, to become more aware of what’s in our bodies and what’s happening around us, it allows us to then begin the journey of looking from within. Figuring out what is it that my body’s trying to tell me. That’s why I call myself a mentor and a guide because we use everything. We use mind, body, spirit. We chant mantra, we do Kundalini Yoga, we use essential oils, we use hemp oil, we detox the body, the gut. We eat clean, good whole foods and we decalcify the pineal gland. Everything happens in steps and if you do something too quickly, then you may find yourself taking ten to twelve steps back. Everything has to come in a gradual form. The other thing is that I create empowerment and leaders. I do not want somebody to come to me years and years, still working on the same issue. If that’s the case, I’m not the mentor and guide for you. Something is missing, you need to go see somebody. You need to see somebody who is in alignment with your mindset and that’s going to work with you. It’s like the psychologist, five years you’re still seeing the same psychologist. Let’s go fully forward and knock this out and then do maintenance and then you fly. You take it from there. That’s exactly my philosophy with my practice. There are some chiropractors that see value in getting adjusted three times a week for forever. That’s their philosophy and that works for them. The way that I practice is that I want to get your head on straight. I want to make sure your brain and your body are connected structurally through the top of the neck and full communication above, down, inside out. I literally tell every single patient that I encounter, “The better you do, the less I need to see you.” I don’t want you to be dependent upon me and my adjustment the rest of your life. I want that adjustment to hold and watch you thrive. The less you come in, the better you’re doing. Of course, I want to do a maintenance check on you to make sure you’re holding and make sure your nervous system is functioning but I don’t need to do that three times a week. I can say that in people who are in complete crisis mode. I will see them two to three times a week for probably a good solid month. I have a vision that we can live in a world that is free of dis-ease. I believe that the key to wellness begins in the gut. If we start there then we can work on the energy and everything else from there. I love that it came from personal suffering. Most of the time things that are disruptive, technology or disruptive mindset always come from a suffering of some kind. It took some catastrophic event or some terrible thing that allowed you to have a different perspective and an energetic shift. All of the sudden you were able to figure out the thing that ailed you. They always say, “It’s always darkest before the dawn. The storm is always the worst right before it’s over.” It’s like with my chiropractic practice, retracing gets worse before it gets better. You heal, you get an alignment and then you go back through. You go through all the junk that got you to where you were when you first met me. You have to go back through and heal and if you do it too quickly you’re not stable. It’s very systematic. It’s very in steps and it’s a very structured design to help you get from point A to point B in a healthy loving way. I know that we can do this. We can all work together. Doctors, medical doctors, functional medical doctors, chiropractors, mentors, guides, acupuncture, we can all work together because no one can work alone. They all have to intertwine so that we can have the science, the data, the plant life, and the knowledge everyone brings to the table. I’ve owned my own company for almost twenty years and I always made it a point to hire really good people who knew, if not more than had different perspectives of what I did because that made us succeed as a team. My website is MariaAparis.com and you can find the book on Amazon. 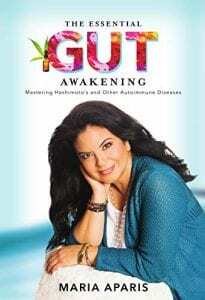 It’s The Essential Gut Awakening: Mastering Hashimoto’s and Other Autoimmune Diseases. I am so thrilled to have had you as my guest. It was a very enlightening conversation. I feel empowered. I feel pumped up. I feel ready to go heal the world. I have two more people that I want to send your way. That’s so great. I’m excited. Let’s get the word out there. We can do this. It takes a village. We can’t do it alone but we can do it together. Thank you so much for being a part and I can’t wait to have you back on my podcast so we can talk about success stories. 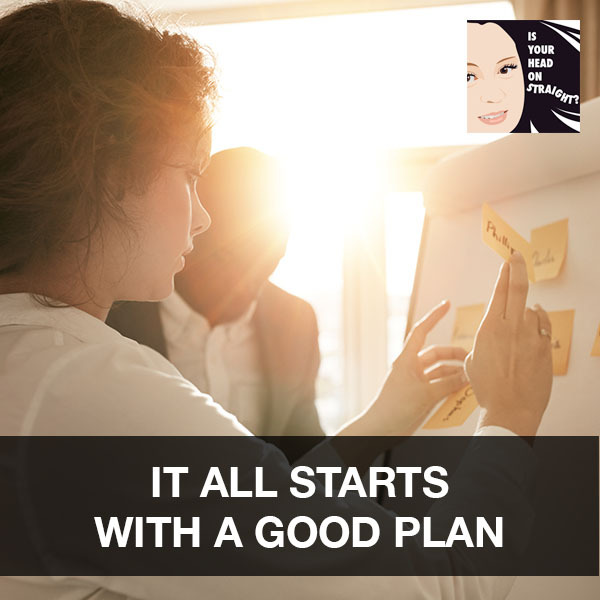 As an inspirational and motivational leader and speaker, she inspires her clients to achieve their greatest potential in life by challenging the paradigms that hold them back. She realigns them in mind, body and spirit using alternative & holistic natural practices. Maria has been featured on ABC’s Eye On LA, CBS’s Lisa’s It List, KTLA Morning News, Fox 11 News, 9 on the Town, On Air with Ryan Seacrest, Si TV, Entertainment Tonight and Extra, LA Times, Orange County Register, Daily Variety, Daily Candy, Lucky Magazine, Modern Bride, Healing and Spa Magazine and was hailed as”the hottest new business trend” in the January edition of the global business newsletter, Trendwatcher. Her expertise awarded her the privilege of being a special guest host reporting live from the Red Carpet for E! Entertainment Network as a health and beauty expert for the Emmy Awards.